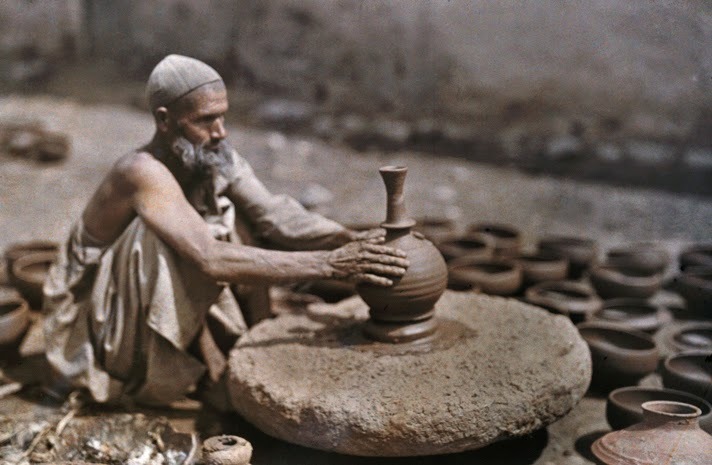 Harappan pottery could be found at sites in Oman, and, if Harappan trade items and seals could be found at sites in Mesopotamia and Iran,there was every possibility to find evidence related to a Harappan settlement or colony or a temporary occupation from the sites they could have actually visited.This possibility,along with the evidence of a Meluhhan interpreter,fully strengthened the possibility of the presence of a bilingual inscription from this region.So It has become absolutely necessary[imperative] now to sift[To examine and sort carefully] through the enormous quantity of archaeological data from the Mesopotamian sites by Harappan archaeologists to segregate[isolate] the Harappan material present if any. 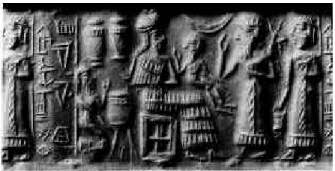 Modern studies into the pre-historic Indus/Saraswati valley culture of north western India and Pakistan,centred on Harappa and Mohenjo Daro, suggest that the imperfectly understood script of these cities is of a proto-Dravidian nature.This leads us to conclude that the Dravidians are not indigenous to South India,but moved there at some point in time after the collapse of the Indus/Saraswati civilisation in about 1,700 BC.Many Tamils trace their origins to the people of Mohenjodaro in the Indus Valley.Also More evidence of who the Indus Valley people were is found in the translations of the Vedas (which were written by the Aryans who came to India some 3500 years ago) There is, however, a need for further systematic study of the history of the early Tamils and proto Tamils. 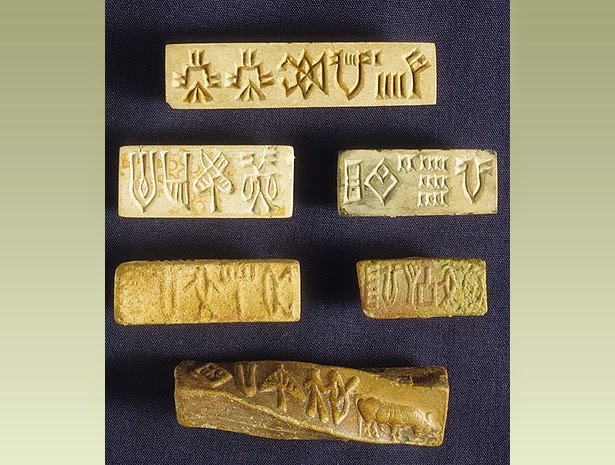 As the Indus/Saraswati script has yet to be translated,it is difficult to establish who these people were and from whence they originated.This uncertainty follows because of the undeciphered nature of the Indus script. According to Professor Romilar Tharpar, in her seminal work "Early India, From the Origins to AD 1300", the word 'Mlechcha' is still used in India today by the Hindi-speaking, Aryan descendent northerners to refer to those who are beyond the caste system, or ritually impure.This clearly indicates that the Meluhans were not Aryan and inhabited India before the caste structure brought by the Aryans was in place.The Meluhans were described in Sumerian literature as being from 'a black land', or being a black people.This has led western scholars, unaware of the close association between caste and colour, to look in Africa for Meluha. Ritually as well as visually,the Meluhans were beyond caste,and therefore 'black' to the Aryans - in other words,they were Dravidians.